Artificial Intelligence is Making Great Strides in the World of Online MarketingThe age of artificial intelligence has arrived, but it looks a little different than what we predicted. 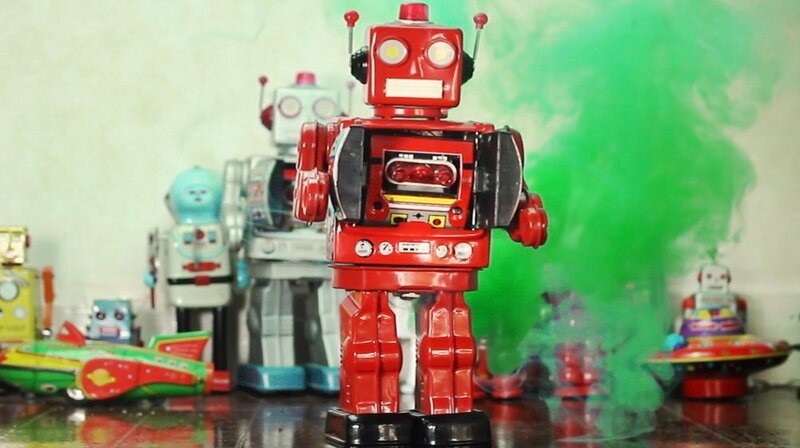 Bots are showing up everywhere to use their automated technology to perform simple tasks. They have the ability to interact with humans and respond to requests so employees don’t have to. Marketing ‘chatbots’ are integrated into messaging interfaces such as Slack and Facebook Messenger as a way to answer product-related questions. Rather than customers using email, which can have a long response time, or calling a help customer service line, which can be limited to certain hours, chatbots offer immediate answers to real customer questions. The bots can then collect data from each interaction, which can be used to gain insight into consumer behavior. Marketing bots are typically used by service-oriented companies wanting to quickly respond to customer inquiries. This includes travel companies and ecommerce sites, but bots can be utilized by just about any business with customers. Take a look at the time and resources spent on customer communication in your company. You might benefit from one of these top chatbots. If your business has an active Facebook page, ManyChat can help you create a chatbot that instantly responds to Facebook messages. You can send welcome messages and set up keyword auto-responses as well as schedule posts on your page. It takes about two minutes to set up your bot and no coding is required. ManyChat allows you to beat out the cluttered newsfeed by targeting right to your subscribers. Whenever someone chats with your ManyChat Facebook messenger chatbot, they will automatically become a subscriber. The subscriber list can then be used to broadcast news and updates to everyone. Motion AI claims to be the most powerful bot in the industry. What makes this bot stand out is its amazing visual interface to easily setup and build your chatbot. If you can visualize and draw your ideal chatbot diagram and flowchart, then you’ll be able to easily launch your bot within minutes rather than hours. This bot even comes with it’s own bot store, the app store for bot templates and apps to help you get started even quicker. Best of all, you can start to use it for free to build up to 2 bots and use up to 1,000 messages. Like ManyChat, SurveyBot works through the Facebook Messenger interface. 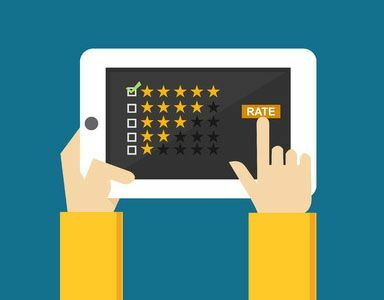 Create marketing surveys and get useful answers through messaging. You can choose from over 12 question types to ensure you ask the right questions. The bot uses answer piping, conversational logic, and re-engagement to act almost like a real human. Also like ManyChat, you can collect information from subscribers and analyze the survey results. Surveys can build lead generation, so the SurveyBot is a great tool to reach potential customers. Used by some of the biggest customer service oriented companies like Hyatt, 1-800 Flowers and Fandango, Assist offers personal assistance to power all types of conversation platforms. The fast-working program strays away from pre-defined scripts for a more flexible experience. The natural language processing and machine learning capabilities of Assist create a more realistic interaction for the user. Specifically designed for eCommerce, Mr. Chatbot uses the typical Facebook Messenger chatbot techniques to drive sales through AI interactions. Simply create a bot for your ecommerce site’s Facebook page using the Mr. Chatbot program. Users can interact with the bot and it will respond within seconds using natural language. Once users have interacted with the bot, they will be signed up to receive special promotions and news straight to their messenger app. Yes, you read that right. 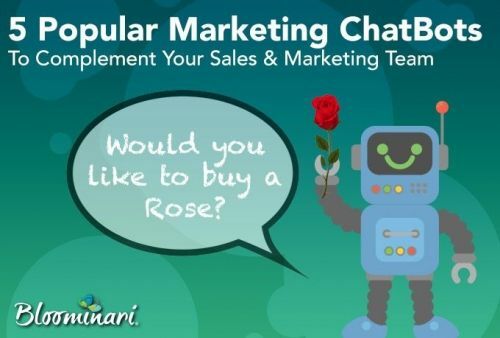 Ever thought that a chatbot would be able to sell flowers for your company online? Without you having to speak to a human to order your Valentine’s day sweetheart roses? Well, a partner agency we work with did just that. They built a chatbot that allows you to buy roses through Facebook messenger, and place the entire order through it. Chatbots are taking marketing communication into the future with basic AI technology. You could benefit from one of these favorite chatbots if your company spends a lot of time responding to basic inquiries, especially on social media. To generate more leads and reduce customer response time, consider using a chatbot for your Facebook page. The first step is to be open to testing new things and be willing to take a risk. 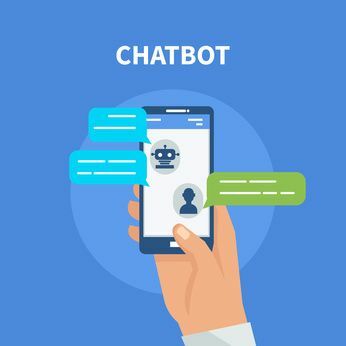 Chatbots are still pretty new, and people and businesses are still in the beginning stages of trying to figure out how to best integrate chatbots into their online marketing strategy. We suggest that you create an account with any of the free chatbot systems, poke around, and start building a chatbot for something as simple as greeting all of your new Facebook messenger subscribers, or anyone who chooses to send you a message through your Facebook page. Chatbots Are Crucial for Your Customer Service, Learn Why!